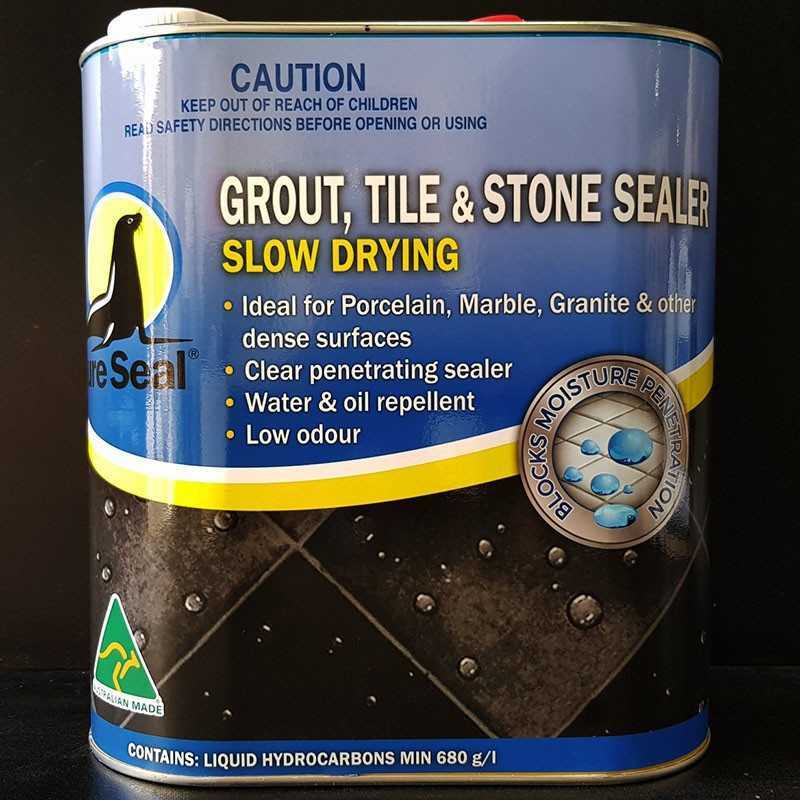 This item can only be picked up & delivered to Sydney & Melbourne metro area. 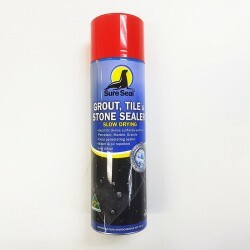 Sure Seal® Impregnator for Porcelain (TILER’S CHOICE), is a slower-drying impregnator specifically formulated to seal, specifically formulated to seal porcelain, granite and marble, but works equally as well in preventing oil and water-based stains on all types of tile and masonry surfaces, including sandstone, limestone, terracotta and concrete. 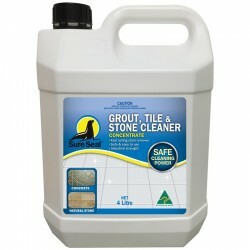 Surface should be clean, dry and free from any waxes, coatings, grout residue or finishes. 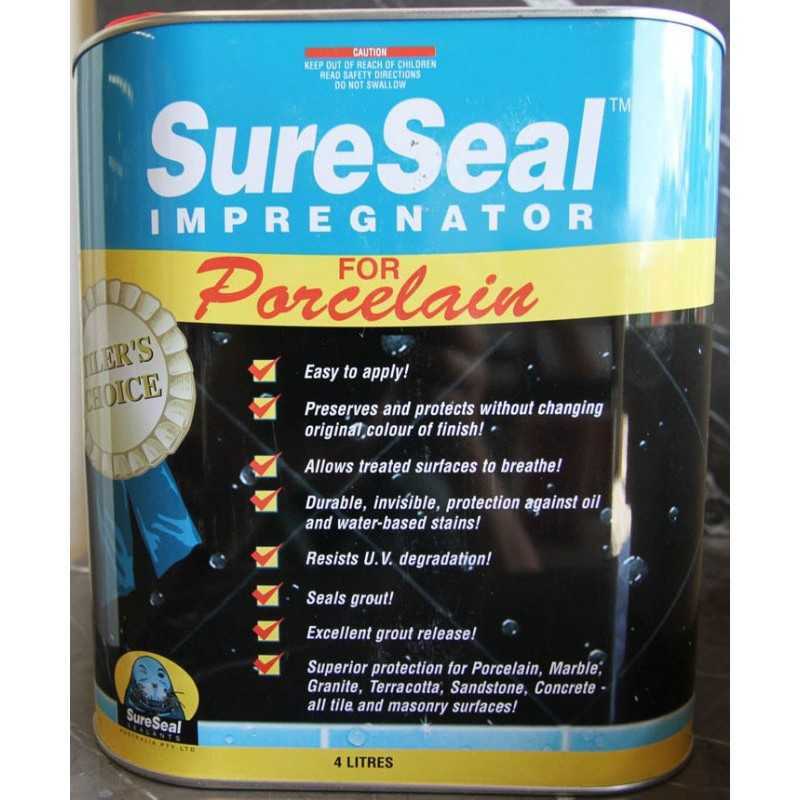 Protect any painted or stained surface adjacent to the application area. 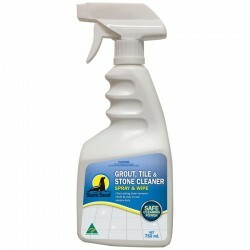 Apply one good coat to the polished porcelain with a lambs wool, mop, roller, brush or pump sprayer. 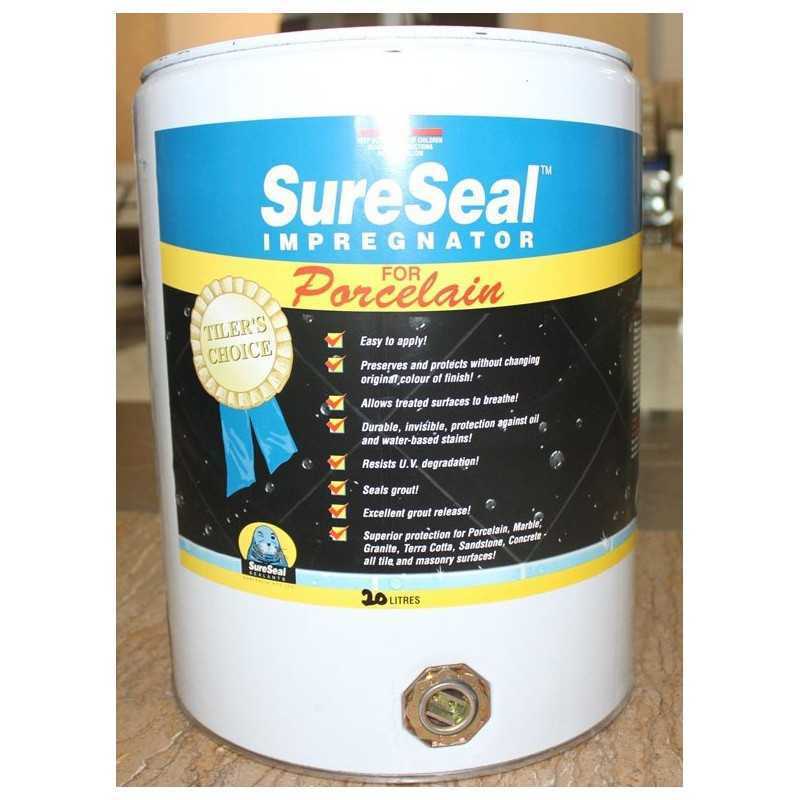 Leave for a minimum of five hours for drying and deep penetration, then apply a second coat to the area. Buff treated area before the second coat is dry. Use a rag or a buffing machine with soft wool pad. 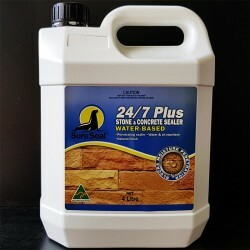 For optimum results, allow the treated surface to cure for 24 hours after buffing. Use the same application directions for other highly polished surfaces, such as marble or granite. Test in obscure area to determine suitability for the intended use. 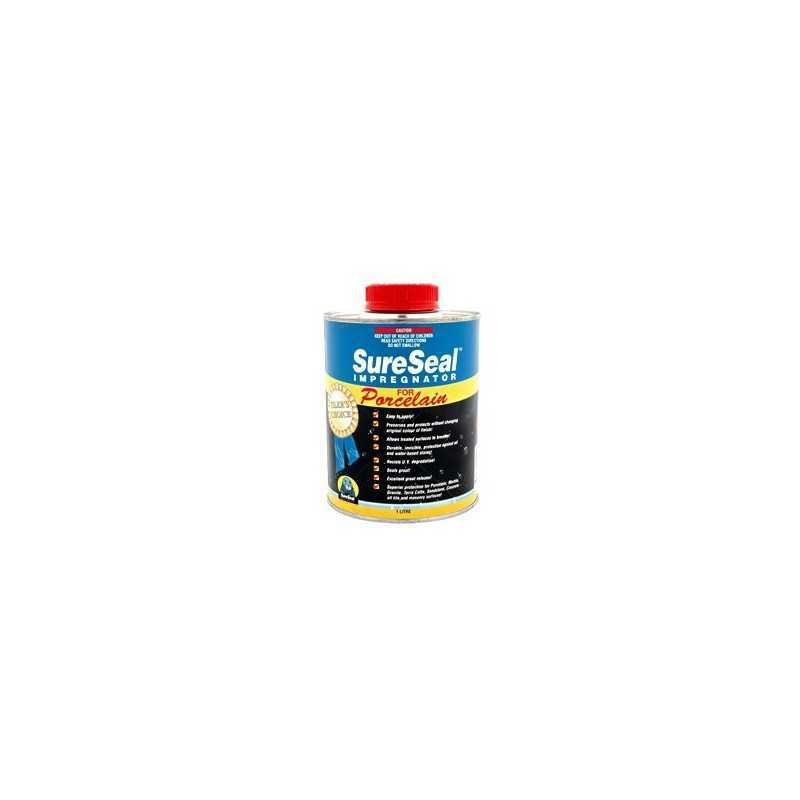 Surface should be clean, dry and free from any waxes, coatings or finishes. 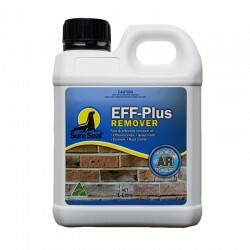 Protect any painted or stained surface adjacent to application area. 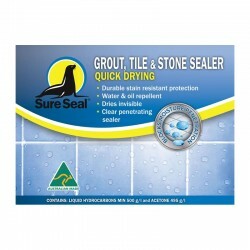 Apply to surface in a thin, even coat with a pump, airless sprayer, brush, rag, mop or roller. For optimum results, the treated area should be kept dry and free from soils for at least 24 hours. 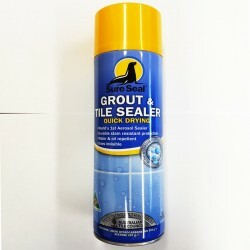 Sure Seal® can be used as a grout release prior to grouting to prevent grout stains and facilitate grout cleanup on porcelain tiles, terracotta, pavers, etc.